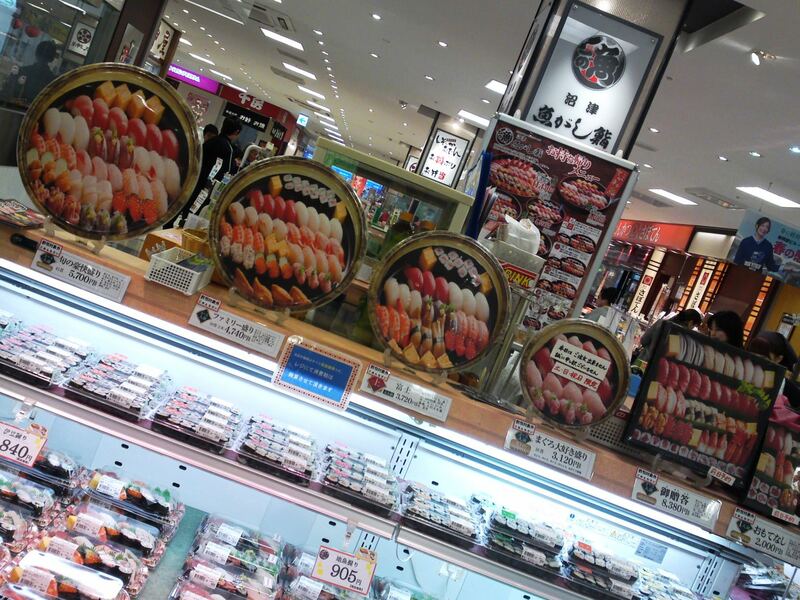 Sushi: Uogashi Stand at Parche Supermarket (Part 1)! 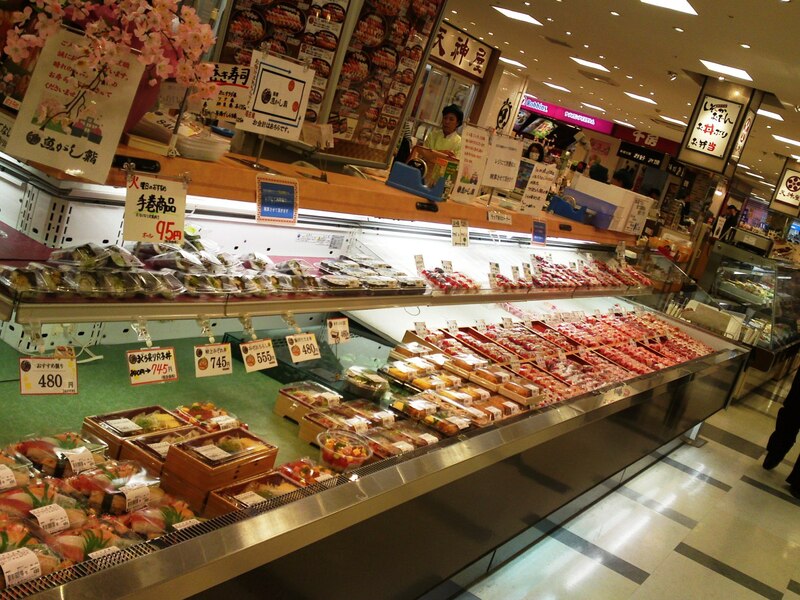 If you go to the Supermarket in Parche inside Shizuoka JR Station, that is, through the middle corridor leading you between the track entrances you will eventually reach a large stand just beyond the the wasabi and the green tea stand held bu Uogashi. 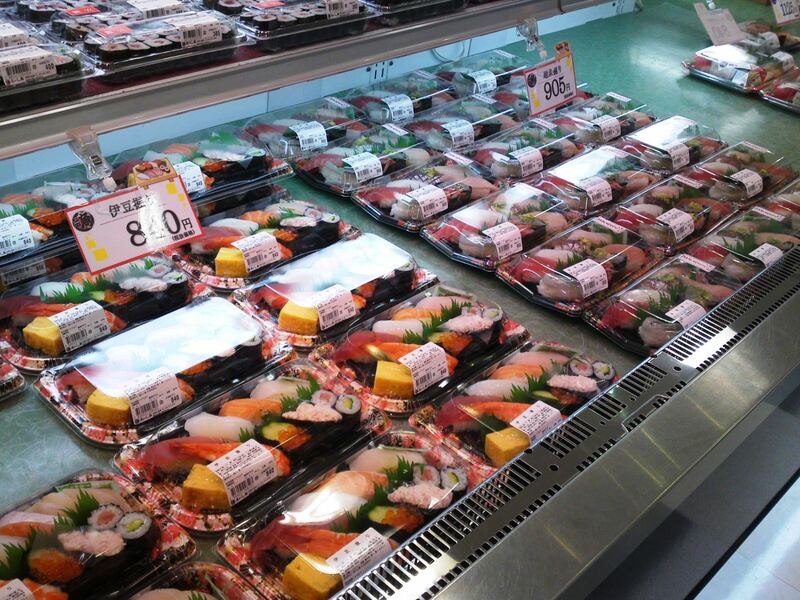 Uogashi is a famous sushi company from Numazu City with sushi restaurants in Shizuoka City and even in Yokohama! They incidentally also have a restaurant in the Acty section of Shizuoka Station. This is an introductory report as I succeeded in convincing their manager to interview them at work! The left side of the big stand! 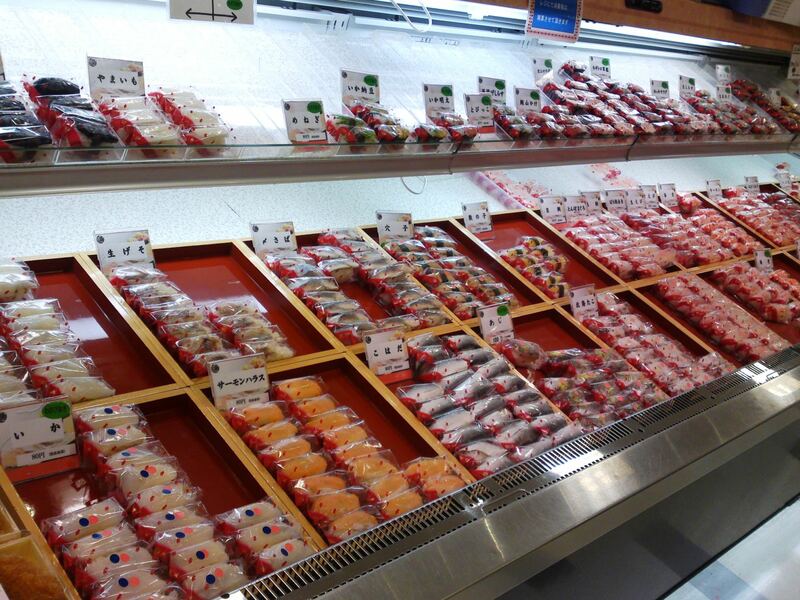 Suhi nigiri individually wrapped and sold separately with or without wasabi. I haven’t counted yet, but there must be over 3 dozen different varieties! Just have a good look and compose you lunch/dinner/snack! Tamagoyaki. Inari zushi, Egg roll sushi, etc.! 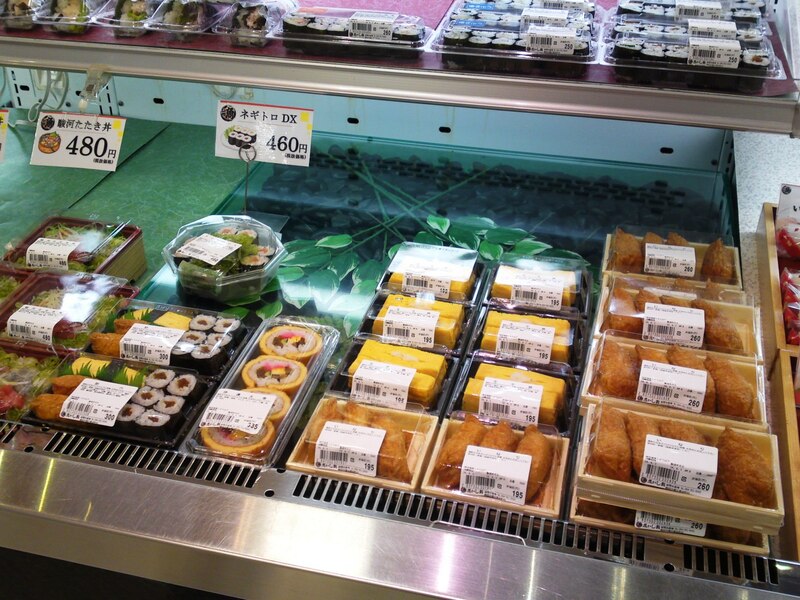 Ssuhi assortments and sushi bento at very reasonable prices! The reason for they freshness and reasonable prices is that Uogashi gets most its fish directly from Fishermen in the Prefecture and elsewheer! 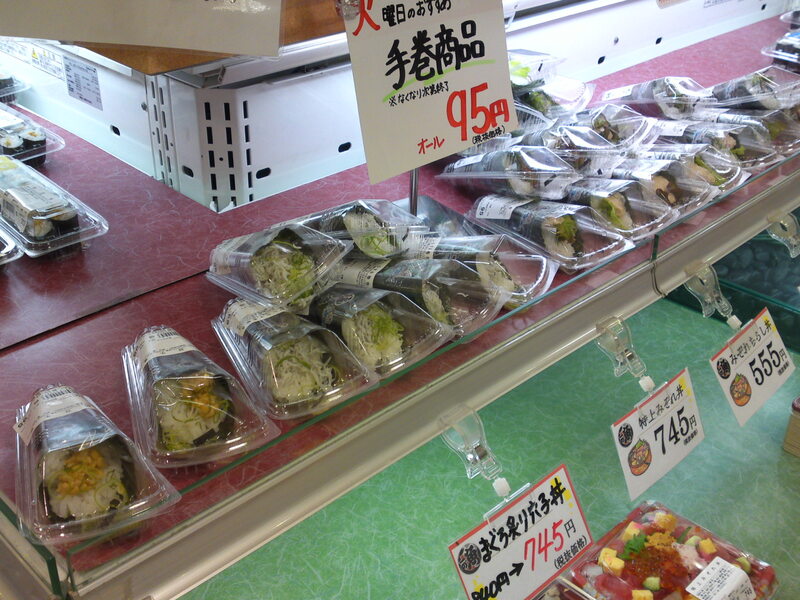 Te-maki zuhi/hand-made conical sushi rolls! The seaweeed is being kept dry in a special wrapping until you open it yourself! 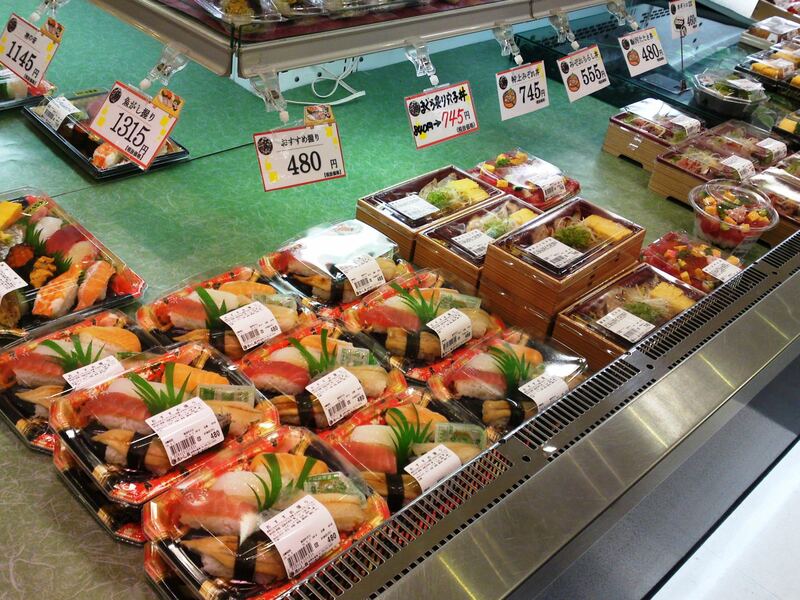 More extremely reasonable sushi sets! 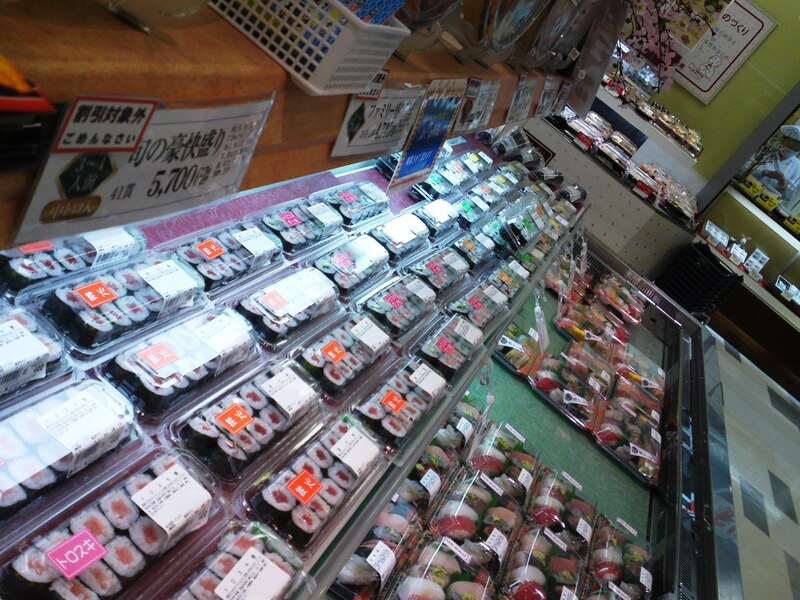 They might be cheap, but you will not find the same quality for that price in Tokyo! Great for travelers to buy before boarding a train or going to their hotels! Don’t worry, next time there will be no plastic interfering with the pictures! 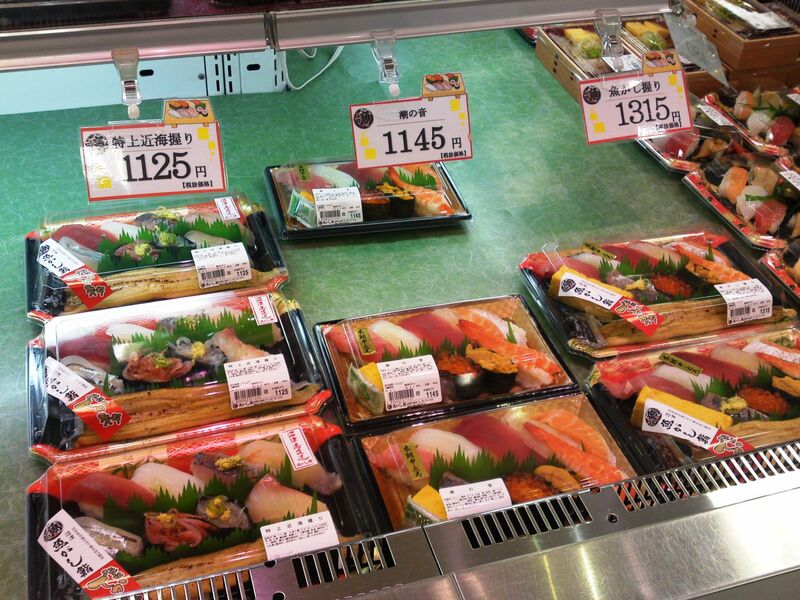 More sushi sets for less than 8.50 US$/6.5 Euros a pack! Of course you can order even bigger sets for parties!